This was a beautifully written story that tells the story of a former slave woman named Seethe living in Cincinnati after the war. The story really cuts into the brutal reality of slavery on an intimate level such that I had never read before. At times it was a little confusing as it bounced around from perspective to perspective, but that just added to the natural chaos of the characters in the story. It took me awhile to get through, but it was a good read and I definitely would recommend it. 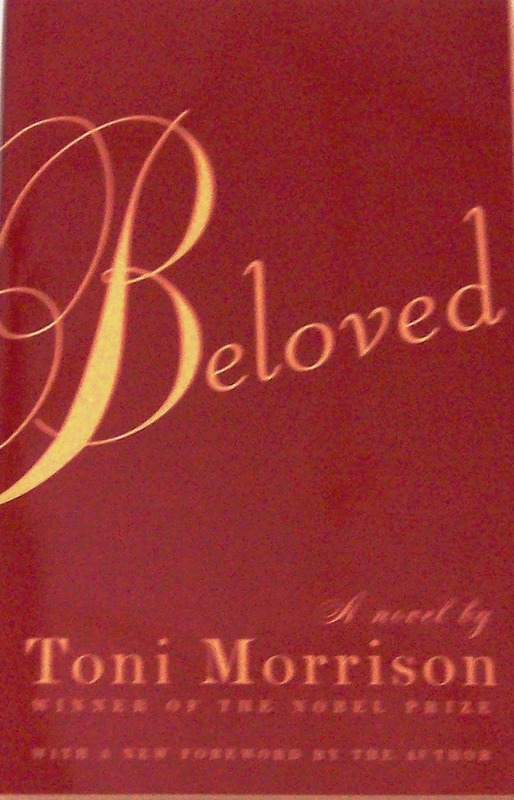 Have any of you read Beloved? What did you think? CHRISTYYYY!!! PLEASE LET ME TELL YOU HOW I HAVE A PEACE SIGN ON THE SAME LEG JUST BELOW MY ANKLE!!!! We are so twins!!! Ps. Never read the book but its on my to read list!!! Sounds like a wonderful book. I haven't read it, but it's on my tbr list now! I've never read it, Toni Morrison is DEEP though. I'm not surprised it took you a while to get through it. My 20-page final English paper was regarding self-perception/beauty in "The Bluest Eye" which was another amazing read. If I merely read it leisurely I'm sure I wouldn't have gotten so much out of it--and for that reason I miss school at times, it forces you to read with a critical eye. I've read it. I read it because my mother forbid me to see the movie as a girl, so when I saw the book in the library during college, I picked it up and thought I'd get a really juicy read. It was juicy in that it was horrific. It was hard to read for me (maybe the POV changes), and I was glad when I was over. I read Song of Solomon by her as well...and it was a much better read. my roommate actually just read that book for class! she said that she really liked it and from what i heard, i think it would be pretty interesting! I want to read it now! sounds amazing! AH! This is my favorite book. I am obsessed with it.. Morrison is a beautiful writer. Every time I crack open this book it is like I am reading it for the first time.. Tears come no matter what.